Multiple relationships between Tasks–is this possible? I have to tasks 1 and 2. Task 2 starts with 1 day of delay of the start of task 2 (Start Start +1 day). But task 2 cant finish until task 1 is finished. I will show you that you can not do that in this way with MS PROJECT 2016! In this case, no matter when the Task 1 will be started, MS PROJECT will automatically move Task 2 to start 1 day after Start Date of Task 1. 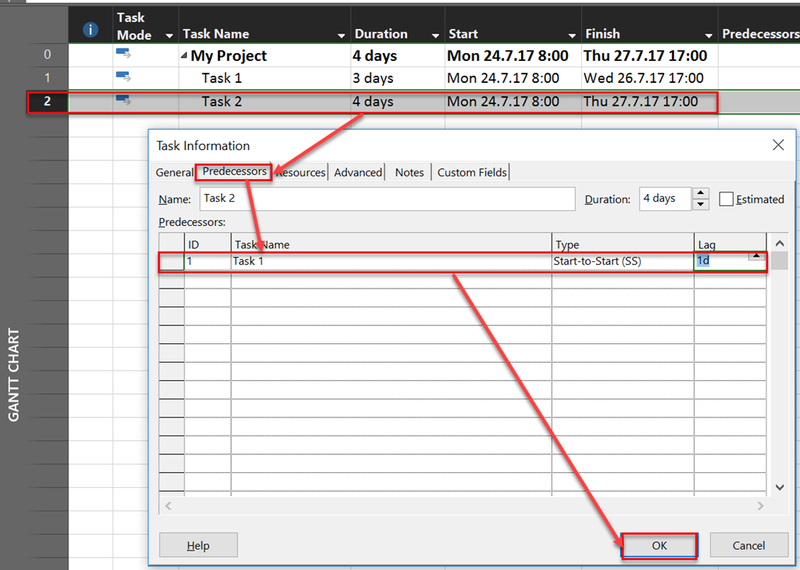 In this case, no matter when the Task 2 will be finished, MS PROJECT will automatically move Task 2 to finish at the same date as Task 1. Now, I have Start no Earlier Than constraint for Task 1, and the Start Date is Wednesday, 28.07.2017, so Task 2 will start 1 day before Task 1, and not after. To conclude, you can choose only one dependencies type between Tasks, and then take care manually for the rest , but be aware that in large projects with many Tasks, and multiple dependencies (when one task has multiple predecessors or/and successors) it can be very complicated and you can easily make a mistake which is lately hard to find. This entry was posted in MICROSOFT PROJECT, Microsoft Project 2013, Micsrosoft Project 2016, MS PROJECT 2016 and tagged Micorosft Project 2016, Micorosft Project 2016 - Schedule. Bookmark the permalink. 4 Responses to Multiple relationships between Tasks–is this possible? This is a good illustration of the limitation that Microsoft enforces on users. In prior versions, it was possible to introduce persistent multiple relationships between tasks by editing and importing xml files. I wrote about it here: http://wp.me/p6CCB4-3g. Has Microsoft closed this loophole in MSP 2016? I think, you can solve the problem in this case. 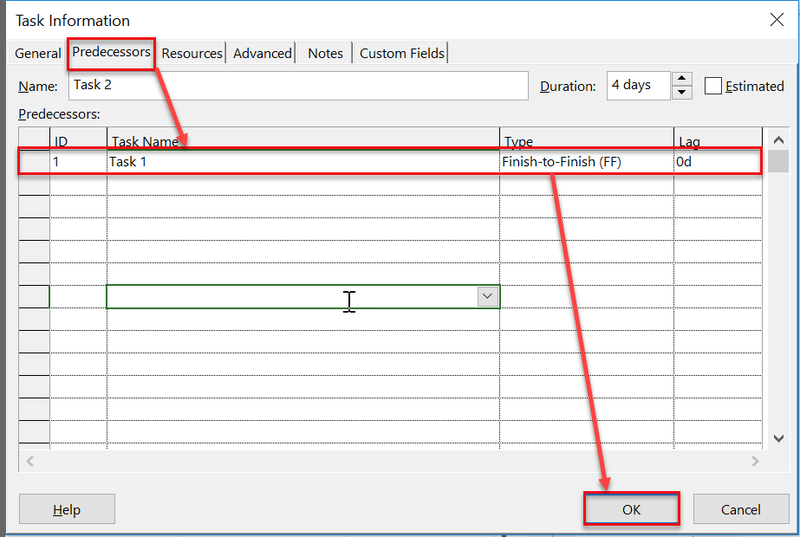 If the Duration of Task 2 is shorter than Task 1 you can connect the start via the predecessor in Task 2 with 1AA+ 1d. The ends of the Tasks you can connect als hammata via copy and paste the Content.